Stumbled across two articles today, one from Rolling Stone magazine pointing out that this weekend marks the 41st anniversary of the Beatles breakup. Author David Browne writes in Rolling Stone that in the process of researching a forthcoming book he needed to get the sequence of events of the breakup correct – and about how he got on the trail of the actual documents involved. This led him to Britain’s National Archives “…an hour outside London, home to historical documents dating back 1000 years, and I had to look at them in a windowless room, locked from the outside. I wasn’t allowed to photograph any of the papers and could only use a pencil to take notes.” In his article “The Real Story Behind the Beatles’ Last Days” Browne steps us through the sad chronology of events. 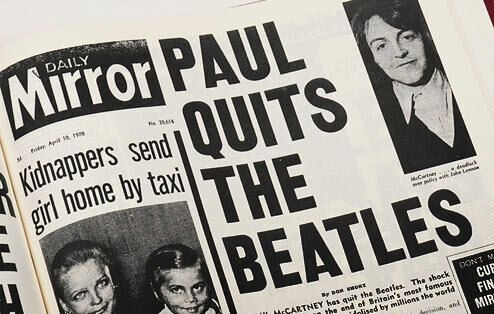 For the text of Paul’s complete press release announcing his departure from the band click here. 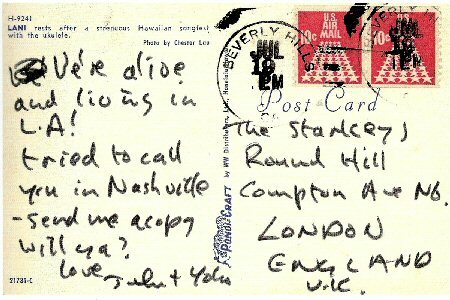 The second article is about the publication next year of a book that will collect together John Lennon’s letters, postcards and notes. 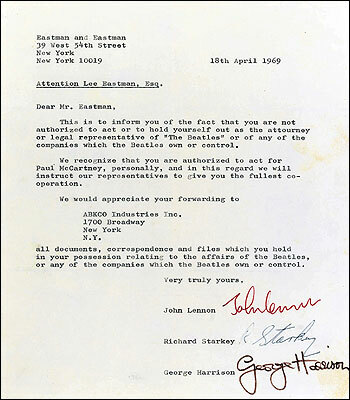 Reuters Canada reports on plans for the book which it says will be called “The Lennon Letters” and will be edited by Beatles biographer Hunter Davies. Compiled in cooperation with Yoko Ono, the book is the first ever such collection and will include hundreds of letters and postcards the Lennon wrote to friends, family, newspapers and organisations. He lived — and died — in an age before emails and texts. Pen and ink were his medium. John wrote letters and postcards all of his life; to his friends, family, strangers, newspapers, organisations, lawyers and the laundry — most of which were funny, informative, campaigning, wise, mad, poetic, anguished and sometimes heartbreaking….many of the letters are reproduced as they were, in his handwriting or typing, plus the odd cartoon or doodle.